As we age, our balance and coordination begin to diminish, leading to a higher risk of falls. As professionals and, in many cases, as caregivers ourselves, many of us have known someone whose balance is impaired. Difficulties with balance stem from injury, joint replacements, or a slip and fall, to name just a few causes. The balance impairment could be long-term in nature and associated with a disease state such as Parkinson’s, a neurological disorder involving the nervous system that causes movement impairments. Whatever the case, balance can be improved, albeit on a relative level for each person. Good balance is essential. 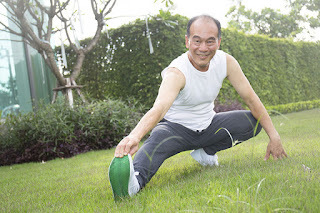 Recent studies point to balance as an indicator for longevity. As we age, our balance and coordination begin to diminish, leading to a higher risk of falls. In fact, falls are the leading cause of injury among Americans over age 65. In 2014, the CDC cited fall-related injuries were responsible for $31 billion in Medicare costs. More recently, the National Safety Council’s 2017 Injury Facts publication indicates in the 65-and-older population there has been a 182% increase in slip, trip, and fall deaths since 1999. This trends with aging populations, where the faster growing age segment in the United States is 90 years of age and older. The following chart depicts fall trends. Simply put, balance is the ability to maintain our position in space, otherwise known as equilibrium, as forces (internal and external) act upon us. Gravity is a common external force, while low blood pressure (i.e. hypotension) can cause acute bouts of dizziness stemming from internal changes. Performing balance-centric exercises daily, even in small amounts, improves the body’s ability to maintain a sense of equilibrium, thus preventing a fall or similar balance-related accident. However, balance is more than equilibrium. Balance training needs to be “functional”, meaning the benefits can be easily transferred to your activities of daily living (known as ADLs). For example, home health professionals can observe their clients and customers in their home, work, and social settings to see if balance training strategies are improving balance. Exercises should combine elements of mobility and stability. Mobility is associated with flexibility and pain-free range of motion, for example through a joint. Stability is thought of in terms of strength. Exercises that combine mobility and stability, coupled with a baseline sense of equilibrium, form the foundation of a great balance enhancement program. Lack of physical activity: Are you getting daily movement? Medications: Have you started a new medication and experienced any dizziness or lethargy? These symptoms can decrease reflexes and response time. Taking a holistic view of movement quality as it relates to balance can provide insight not seen upon first glance! Advances in the ability to assess balance have come a long way. The Johns Hopkins Fall Risk Assessment tool is one approach. The assessment affords a scoring system based upon various categories. For more practical movement=based approaches, the Functional Movement Screen (FMS) has become popular in recent years and is practical for community-based settings. While the FMS was originally used with athletic populations, various components such as the hurdle step and inline lunge represent movements similar to those performed during activities of daily living. Standing Calf Raise: Screens balance and ankle flexibility. Stair Walking (up and down a set of stairs, with and without a railing): Tests lower body strength and balance. Sitting to Standing from a Chair (with eyes open and with eyes closed, with a partner if needed): Screens ability to transfer weight from a sitting to standing position. Strength in your hips and legs is challenged during this assessment. Weight Shifting (moving side to side, pause on one leg and shift to the opposite side): Assesses lateral weight transfer, similar to sitting and standing, yet through a different plane of movement. Core and hip control are challenged as well. Heel to Toe Walking (forward and backwards): Assesses balance and coordination by decreasing your base of support (with your feet closer together). Core muscles including those in the torso and lower back are recruited at an increased level. Note: It’s always a good idea to perform these assessments with help from a spotter. If you can complete the above self-assessments with little or no difficulty, that’s great! A good sense of balance is indicative of strong core muscles, responsive reflexes, and the ability to perform activities of daily living with relative ease. First off, you will find a million different opinions from health experts on best approaches to balance training. No one person is wrong or right, yet there is general logic that fitness experts utilize. For example, if you cannot perform a standard squat without pain, why would you attempt to perform such an exercise on an unstable surface such as a balance ball? Furthermore, is a squat on a balance ball (also known as a Bosu Ball) truly functional if you spend most of your time on stable surfaces? These are questions to answer with your care providers. With that said, let’s move on to four exercises that I’ve seen provide great benefit to numerous clients over the years. Set-up: Sit upright on a sturdy surface. Squeeze your shoulder blades black and down. Draw your elbows down and back into your middle spine. Hold, then release. Benefit: Strengthens the posture muscles that keep the body upright during static positions (such as standing) and dynamic positions (such as walking). These muscles work collaboratively with the shoulders and hips to assist in balance, respiration/breathing, and decreased incidence of chronic musculoskeletal conditions including back pain. Set-up: It is recommended to perform this exercise with a partner or while standing near a wall for added stability. Begin in a normal standing position. As you walk forward, your partner should spot from the left to the right leg, as you balance momentarily on each leg. You should feel the hips and legs working to stabilize your body during the momentary pause phase. Benefit: During movements such as walking and stair climbing (two very common daily activities), weight shifting is a crucial part of keeping your balance. Distributing your weight back and forth between the left and right sides occurs hundreds of times per day. Set-up: Draw one leg straight back while keeping your hips square. Perform the deadlift while keeping the leg off the floor. Use a wall or chair for assistance in balancing. Benefit: This exercise accomplishes two primary objectives: it strengthens the back of your lower body and teaches hip hinging. The latter benefit trains the body to hinge at the hips, not the lower back. Set-up: Sit comfortably on the front of a chair. Make fists and keep them over your knees. Begin to tap you toes together at a rapid rate for 20-30 seconds. Benefit: This exercise strengthens the front of the shins, specifically a muscle call the Anterior Tibialis. This area of the shin works with the foot, knee, and hip during walking and hip lifting. Improved awareness of lifting the foot may occur, enhancing proprioception during walking. All the fancy equipment won’t make a difference unless applied in a logical, systematic method with regular assessment along the way. Thus, the goal should not only be to get the client well, but to also teach them skills to facilitate a level of post-care independent maintenance. The following are common tools of the trade that may help in improving balance. Therabands are great training tools. They are portable, easy to transport, and have multi-functional capabilities. The darker colored bands represent greater resistance while the lighter colored bands offer less resistance, yet the inherent stretch properties of the band can make any color challenging. The body can perform all kinds of movements with bands including pulling, pushing, pressing, rotating, and extending. Multiple joints and muscles are worked without having to change weight plates or seat positions as is common with selectorized machines. You can find examples of band exercises on websites such as YouTube. Tennis balls are a cost-effective tool to use on the feet. Why the feet? The feet, specifically the arch and big toe, are vital to stability during walking. In fact, it can be argued that the big toe is the most important joint in the body when it comes to balance. You can roll the ball on the arch or squeeze the ball between the toe mounds. The good news is that balance can be worked on with daily exercises in short bouts designed to improve stability and mobility. For those lacking adequate balance capabilities, their quality of life can be negatively affected due to the lack of independence that comes with freedom of pain-free movement. By performing the exercises listed in this article, my hope is that you will see improvements over time in your daily functions. William Smith, MS, NSCA-CSCS, MEPD, currently works for a nationally recognized healthcare system in the New York metropolitan area providing health and wellness services to the community. His interest is in special populations, and how healthcare providers and fitness professionals can work more closely together. Having lost a grandparent to a fall, Will became interested in using movement training and lifestyle modification to help mitigate falls. “Distracted Driving, Falls, Opioids Cause Spike in Unintentional Death Rate,” National Safety Council. According to research by the AARP, about 90 percent of our rapidly-growing senior population would like to stay in their own home as they age. Furthermore, 82 percent maintain their desire to age at home – even if they require day-to-day assistance with activities of daily living. With a rapidly increasing senior population, demand for quality in-home care is beginning to skyrocket. For the past 40 years, in-home care has been delivered predominantly by home care agencies who employ caregivers and dispatch them to homes. However, recent regulations are changing the cost structure for home care agencies, especially for certain types of cases like Alzheimer’s disease and other conditions involving cognitive decline. These types of cases call for care continuity – one or two caregivers who work with the patient every day and fully understand the complex and unique needs of the patient. Importantly, this also serves to calm the patient as a revolving door of new faces can be very upsetting to those with cognitive decline. These types of cases invariably have high hours (more than 40 in a week), which, under the new regulations, now triggers overtime requirements for home care agencies. In most states, first-party employers (families), are exempt from overtime requirements if the caregiver is a live-in employee or qualifies as a companion. 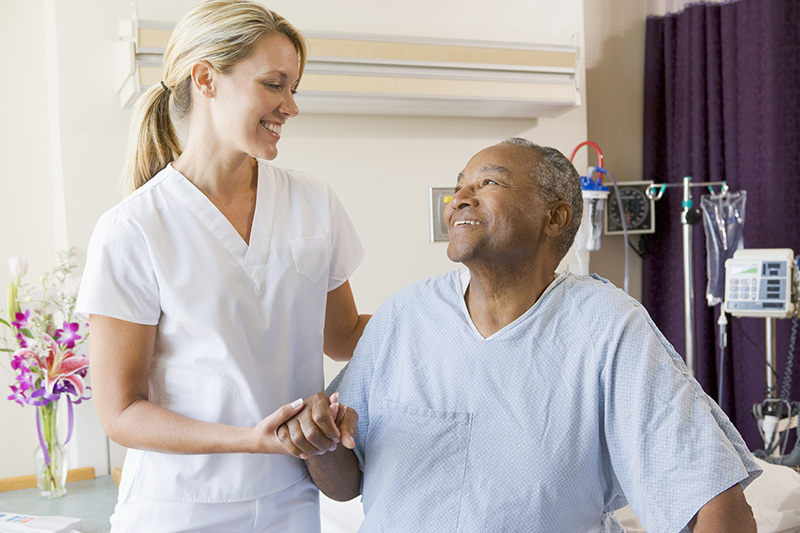 This allows them to get the care continuity they need without the additional cost. Given that most memory disorder cases progress toward around-the-clock care, this overtime exemption can reduce the cost by as much as 50%, or tens of thousands of dollars per year. This radical cost disparity is creating a gravitational pull toward private employment. At the end of 2015, the Department of Labor (DOL) repealed two Wage & Hour Law exemptions that had been in place since 1974 – the Companion Care exemption and the Live-In exemption. The repeals impacted only third-party employers of direct care workers (i.e. staffing agencies), no longer allowing them to pay workers less than minimum wage and forcing them to adhere to overtime standards. As a result, many home care agencies now handle high-hour cases differently. They either get the family to accept a rotation of many different caregivers or pay for the associated overtime with a major increase in their hourly rate. Private employers are still exempt under federal law and most state law. 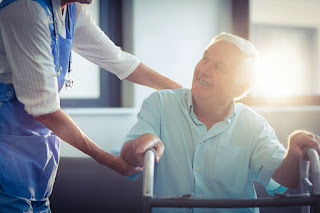 These exemptions make private (direct) employment a much more affordable alternative to the traditional home care agency model – especially for cases that are chronic, high hour and require care continuity. Even after adding in payroll taxes, insurance and all other employer-related expenses, the savings can be staggering. A family needs care for a loved one suffering from dementia. Family members are able to provide care on the weekends, but during the work week, they need around-the-clock caregivers. 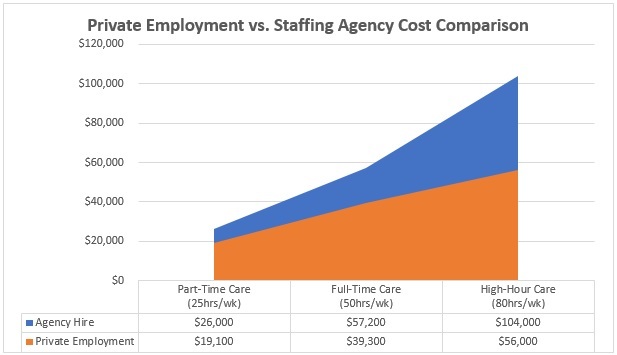 The local home care agency had recently increased their hourly rate to $25 per hour, which meant they would need to budget for $2,000 per week ($25/hr X 16 hrs/day X 5 days/wk). Note: This takes into account the federal sleep time exemption where employers may deduct up to 8 hours of sleep time if an employee works a shift of 24 hours or more. With this information in hand, the family decided to compare the cost to employing privately and found several caregivers with similar qualifications that would work for around $12 per hour. Because the caregiver was required to be on-site for 120 hours per week, this qualified as a live-in employment situation in the eyes of the law, meaning the family would not be responsible for overtime – on top of the savings they’d receive from taking the sleep time exemption. The all-in hourly cost for private employment (taxes, insurance and payroll service) ended up being $13.45. As you can see in the illustration below, this saved the family more than $48,000 - nearly half the cost of going through their local staffing agency. It’s important to note that cost is not the only factor to consider when deciding on a care solution. Home care agencies charge more because they manage several important aspects of the hiring process as well as the employer responsibilities. Some families will want to retain an agency for all those tasks, while others will opt for the consistency and savings of a private caregiver. For those who opt for private employment, here’s what they need to know. 1) Withhold payroll taxes from the caregiver each pay period. Normally, this includes Social Security & Medicare (FICA) taxes, as well as federal and state income taxes. Some states are different and you can consult this state-by-state guide for more information. 2) Remit household employment taxes. These generally consist of FICA taxes as well as federal and state unemployment insurance taxes. Again, some states have additional taxes, so it’s important to consult the state-by-state guide beforehand. 3) File federal and state employment tax returns. These are due throughout the year – rather than just at tax time – and go to the IRS and state tax agencies. In addition, there are a number of employment law matters that need to be handled at the time of hire. Depending on the state, a family may be responsible for providing things like a written employment agreement/contract, detailed pay stubs, paid time off/paid sick leave, workers’ comp insurance, etc. The good news is there are household employment specialists, like HomePay, that take full accountability for all of the employer responsibilities so families are free of paperwork and risk – enabling them to focus on caring for their loved one. There is no one size fits all solution to caring for our older adult population. Home care agencies, assisted living facilities, independent living facilities and skilled nursing facilities all have a role to play. And, now with the recent regulatory changes, so does privately-employed in-home care – especially for those patients suffering from cognitive conditions who need many hours of consistent care. When this type of case arises in your practice, please feel free to contact us for a free budget consultation so you can present your client with all their care options. Tom brings more than 30 years of business experience, including more than a decade as Director at Breedlove & Associates – now known as Care.com HomePay – the nation's leading household employment specialist. Co-author of The Household Employer’s Financial, Legal & HR Guide, Tom has led the firm’s education and outreach efforts on this complex topic. His work has helped HomePay become the featured expert on dozens of TV and radio shows as well as countless business, consumer and trade publications. “Publication 926 (2017), Household Employer's Tax Guide,” 2017, IRS. “Fact Sheet: Application of the Fair Labor Standards Act to Domestic Service, Final Rule,” Sept. 2013, Department of Labor, Wage & Hour Division. “The United States of Aging Survey” 2012, AARP. “The United States of Aging Survey” May, 2016, Bureau of Labor Statistics. “Cost of Care Survey 2016” 2016, Genworth. If you are concerned about your loved one being resistant to having crucial conversations with you about end-of-life issues, you might hesitate to bring up the subject. Talking about aging and end-of-life issues with an ailing loved one is not easy for most of us. Many of us avoid this conversation altogether until we actually face difficult end-of-life issues and decisions for a loved one need to be made. Having crucial conversations now, while your loved one is relatively healthy, will make it easier if and when you or your loved one is faced with a sudden and unexpected health emergency. The way in which you approach having these conversations is crucial to creating a plan that spells out clearly how matters will be handled in the future. Such a plan is empowering for all involved. 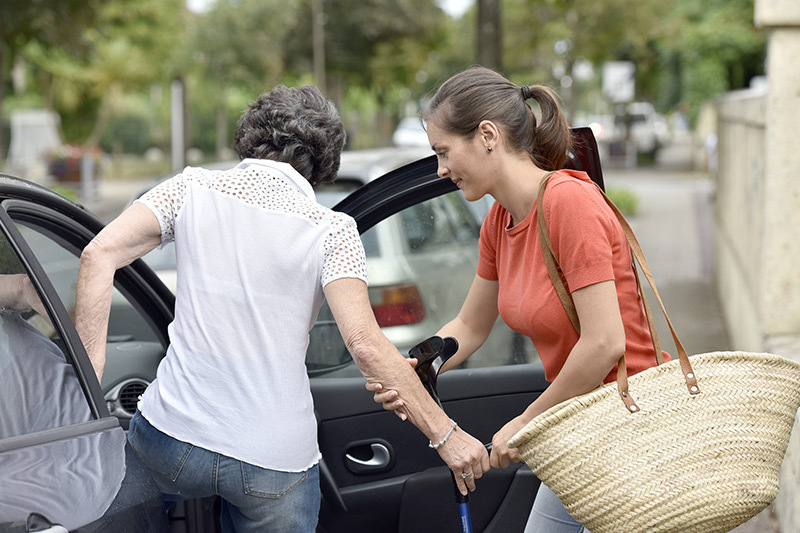 In many aspects of caregiving, resistance often comes into play, and you will need to address this resistance when fulfilling the role of a caregiver. When I cared for my dad, one of the toughest challenges I faced was his resistance to care. How do you help a loved one who doesn’t want or resists your help? I had to learn and understand why my dad was resistant and develop new strategies to gain his cooperation. This article will provide you with the necessary tools to have crucial conversations with a resistant loved one, and it will also provide tips to help you deal with resistance that comes from either your loved one or other family members. If you suddenly and unexpectedly get ill, who is going to take you to the hospital? What kind of care do you want in the future? Where is the money for hospital care and long-term care going to come from? And finally, what are your desires regarding your funeral? Aging loved ones should be reminded that if they don’t have these crucial conversations with adult family members while they are still well, all hell can break loose when they are too ill to intervene, as family members may express different desires and stress each other out. As a concerned family member, keep in mind that you must be very patient and gentle with your loved one in the early stages of discussion, when they need your help the most. Trust is a major factor for your loved one—after all, your loved one is putting his or her life in your hands—and so his or her resistance may very well dissolve as trust in you grows. Another strategy for bringing your loved one on board is to share with him or her what your wishes are for your own end of life, and to explain that you have started thinking about how your own final wishes can be realized when the time comes. After all, you should not expect your loved one to do something you have not done for yourself. You will find that the crucial conversations are much easier when you have actually contemplated your own end-of-life stage and described it to someone else. The following strategies will help you enter into that first conversation about aging and end-of-life matters with a resistant loved one and make it productive. First, tell your loved one that you would like to set a time for the two of you, plus other members of your family, to have a crucial conversation about how you are all going to prepare yourselves emotionally, financially and legally to avoid sticky end-of-life issues. Once you have agreed upon a time for the conversation, schedule a family meeting. Remember never to hold this type of meeting on or around a holiday. This subject is too heavy for a holiday. Next, select two or three family members who are confident and qualified to lead the conversation. (Remember, this is not an easy conversation, and not everyone is equipped to do this.) Remind family members beforehand that they must have only your loved one’s best interests at heart. Family rivalries and dissension could reach an all-time high as each person tries to have his or her wishes for the loved one carried out. If problems between family members exist, those relationships could go from bad to horrid. If there are family members who are unsupportive and who will not cooperate, definitely seek legal counsel. Caregiving Empowerment Strategy Training Courses are available online. You can get the help you need at CaregiverStory.com. If your loved one refuses to accept that he or she is in poor health, and thus sees no need for crucial conversations, make a dramatic case. When approaching your loved one, it is best practice to have some proof substantiating your concerns, such as pictures, letters or other documents, for your loved one to review. An example would be showing your loved one a photograph of himself or herself taken a month earlier, and then showing him or her a photograph that was taken that week or that day. Your loved one will clearly see how much thinner or unhealthy he or she appears to be in the recently taken photograph. Remember, a picture is worth a thousand words. When you use show-and-tell to convey your concerns, your loved will eventually trust you, knowing you have his or her best interests at heart. Describe “caring” in a positive way. You may consider describing respite care as an activity your loved one likes. Talk about a home-care provider as a good friend. Also you might describe elder care as a seniors’ country club, or refer to your loved one as a volunteer or helper at the country club. Never give up on your loved one. If he or she doesn’t want to discuss the topic the first time you bring it up, try again later. When your loved one acknowledges his or her medical conditions but still refuses to tell you about them, be patient. Voice your concern and off er your help. Know that your loved one will eventually come around. What should you do if your loved one refuses to tell you if he or she is being abused or if he or she refuses to tell you if he or she does not like his or her doctor, assisted living or long-term care facility? Listen, listen and listen to your loved one. When your loved one tells you that he or she does not like a particular doctor or a staff member at a long-term care residence, make certain to ask him or her why, as abuse could be the root cause. Also, make sure you are aware of any bruises or cuts on your loved one for which there is no explanation. These could very well be telltale signs of abuse. If you believe that a doctor has abused your loved one, contact your state medical board. If you believe your loved one has encountered abuse at a long-term care facility, report, report, report your findings and concerns to the facility’s higher-ups, your state’s long-term care ombudsman and/or adult protective services. They will conduct an investigation to get to the bottom of your concerns. Your loved one is dealing with a personal loss, such as a spouse, physical loss, mental loss and/or fear of losing his or her independence? He or she does not want to relinquish his privacy? Your loved one does not want to adjust to new routines? Is your loved one in the early stages of dementia? Your loved one wants to keep his or her chronic condition a secret? Is your loved one afraid of you taking away his or her car keys, losing his or her way of life, getting old, not having any financial assets to help you, being a burden on you, you taking all his financial assets, being thrown into a nursing home, dying? Have you scheduled a family meeting? Has your loved one been included in the family meeting? Are you holding the meeting during a neutral time of the year (not around the holidays)? Have you given your loved one an opportunity to voice what he or she believes is his or her biggest health concern? Have you made your loved feel like his or her opinions matter? Are you honest with your loved one? Have you refused to use scare tactics to facilitate your loved one’s cooperation? 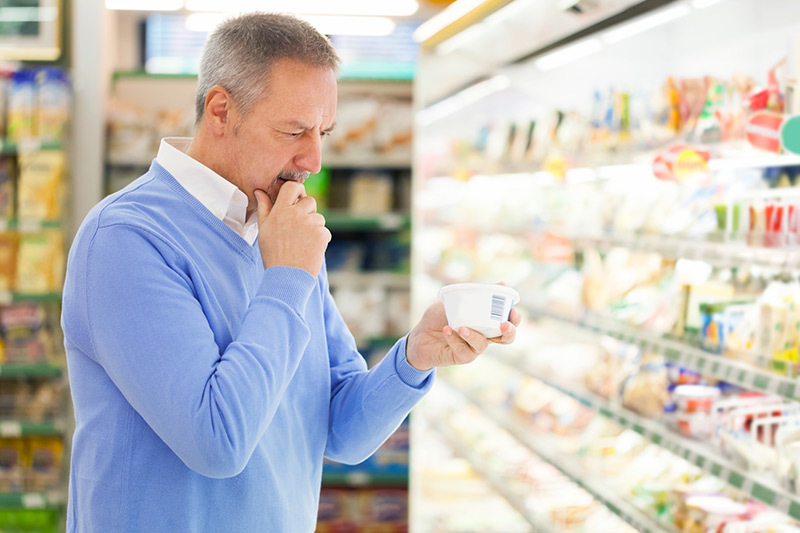 Have you made a dramatic case to your loved for why he or she should communicate his or her health concerns? Have you described the idea of “caring” to your loved one in a positive way? Have you made it clear to your loved one that you will not give up on him or her? Are you patient with your loved one? Have you enlisted the help of family members to persuade your loved one to accept help? Have you listened to your loved one’s concerns? Carolyn A. Brent is an award-winning and bestselling American author and eldercare legislation advocate. Designated as an Editor's Choice, she was reviewed by the Library Journal as well. Verdict: excellent! Excerpt. © Reprinted with permission. All rights reserved. For many, starting a business later in life makes sense as long as you understand and manage the risks involved. The concept of entrepreneurial spirit has long been reserved for 20- and 30-somethings. It’s believed that the younger generation has more of an appetite for risk. However, research now proves that’s not true. According to the Kauffman Index, people between the ages of 55 and 64 start small businesses at a higher rate than younger generations. Today’s work climate may contribute to this change. As more millennials move into the workforce, older workers are being replaced by automation, shrinking bottom lines and workers willing to accept less pay for the same job. As a result, those being pushed out of the workforce are turning to business ownership as a means of security for the future. For some, the idea of owning a business just makes sense. You understand that being your own boss allows you to control your destiny. For others, being solely responsible for your future is a terrifying thought. The thing to remember, however, is that there is more to business ownership than just making money. Pursuit of passion: Many older adults choose to open a new business to pursue their passion. After years, sometimes even decades, working for someone else, the idea that you can spend your days working on something that matters to you is exciting. Personal value: The fact is, baby boomers and Gen Xers have spent years working in their chosen fields. During that time, they’ve gained a wealth of knowledge that, no matter how hard organizations try, cannot be captured. Starting a business can be a means of sharing knowledge and creating personal value that exceeds the feelings of worth working for an organization. The American dream: Many older Americans want what their parents wanted—to leave their children and grandchildren with a better life. That can mean everything from a greener planet to a better bank account. Some realize they won’t achieve this desire working for someone else. Instead, starting a business based on passion can help build and change the world and the legacy they’ll leave. “One piece of advice I would give to those looking at starting their own business would be to do MORE research into the field they are looking at then they ever thought necessary,” says Steve Garrett, RPh, CSA. Garrett, who launched a CarePatrol franchise in the Pacific Northwest, used multiple programs available to older populations to help with financing his second career. In particular, he took advantage of his local SBA-SCORE program, which is made up of retired business executives who offer mentorship, classes and templates and programs that participants can use in developing business plans and other business-related issues. Regardless of the reason you choose to start a business—passion, value, legacy or something entirely different—starting a business after the age of 55 can make a lot of sense from both a personal and a financial perspective. Financially, there are many programs in place to help older entrepreneurs begin and grow a business. Programs like the Small Business Association’s (SBA’s) Encore Entrepreneur are designed to help those over 55 choose, start and build small businesses. And investors are more likely to invest in companies that people over the age of 55 started because you not only have the knowledge to run the business, but you also have the financial means. Older business owners usually have more financial means for starting a business. They can use assets and savings accounts to fund a new venture. They also have retirement accounts, and various ways to tap into those accounts. For example, the Roll Over for Business Startups (ROBS) program allows entrepreneurs to roll their retirement account, 401(k) or IRA into a new business. In addition, some retirement accounts allow business owners to take early withdrawals or retirement account loans. The caveat is that using retirement funds to bankroll a new business can be risky. Before cashing in your retirement account, investigate your chosen business to ensure it’s a good match for your personality and work ethic, and that you’re taking the appropriate level of risk. Some risk is required, but too much risk can leave you without an alternative for your future. Consulting: Consulting is a good way to share your expertise while maintaining the freedom to choose who you want to work with. Accounting and bookkeeping functions: If numbers are your passion, accounting, bookkeeping and tax-related businesses are easy to start and have a relatively low overhead. Life services: People always need help with something, whether it’s older adults who want assistance with transportation or household services, or middle-aged people who need advice about gardening, pets or childcare. Most life services businesses have inexpensive startup costs and low overheads, and you can build the business around the hours you are available. Franchises: Franchises are popular business options because someone else has already done the work to put the business system in place. Your job is to invest in the franchise and then follow the system. Most franchises are stable and good investments, though you should do your research, because they can also be a lot of work. Opening a new business is no longer just a young person’s game. Today’s senior adults have more knowledge and better financing options for entrepreneurial endeavors. Just be sure that you’re investing the appropriate level of risk to achieve your end goal. *Disclaimer: The Society of Certified Senior Advisors does not provide financial advice and this article should not be construed as such. If you are seeking financial advice, please contact a financial professional. “5 Small Businesses to Start after 50,” May 2016, USA Today. 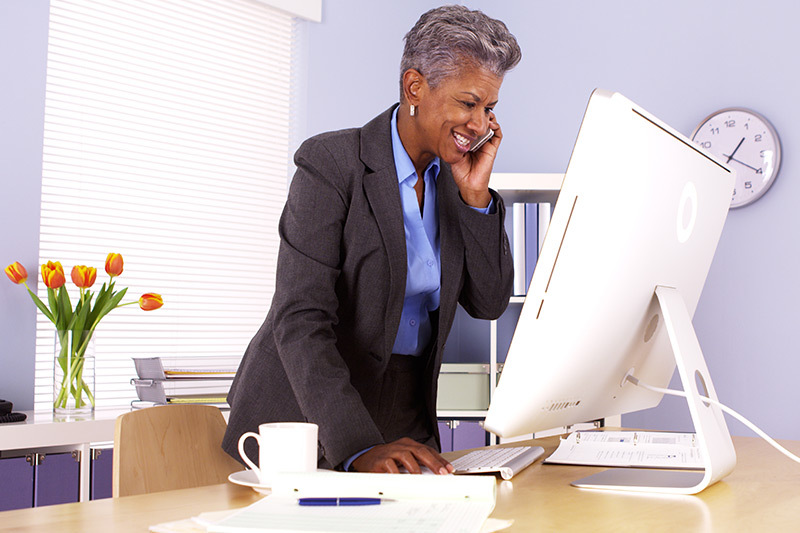 “The Pros and Cons of Starting a Business Over 55,” June 2014, SCORE Association. “How Older Entrepreneurs Can Turn Age to Their Advantage,” Roger St. Pierre, May 2017, Entrepreneur. “Self-Employment in the US,” March 2016, Bureau of Labor Statistics. “Roll Over for Business Startups (ROBS) – The Ultimate Guides,” Jeff White, April 2017, FitsSmallBusiness.com. “What You Need to Know About Using Retirement Money for Business Funding,” Adam Bergman, July 2015, Forbes. Many cultures have long understood that a community’s oldest members can provide experience and wisdom to younger members. In the U.S., however, extended families with intergenerational support are declining. After many years of work, various programs are beginning to change this downward trend. From school pen-pal programs that pair sixth graders with seniors to intergenerational facilities that let older adults and toddlers spend time together, the “grandfriend” concept is expanding worldwide. 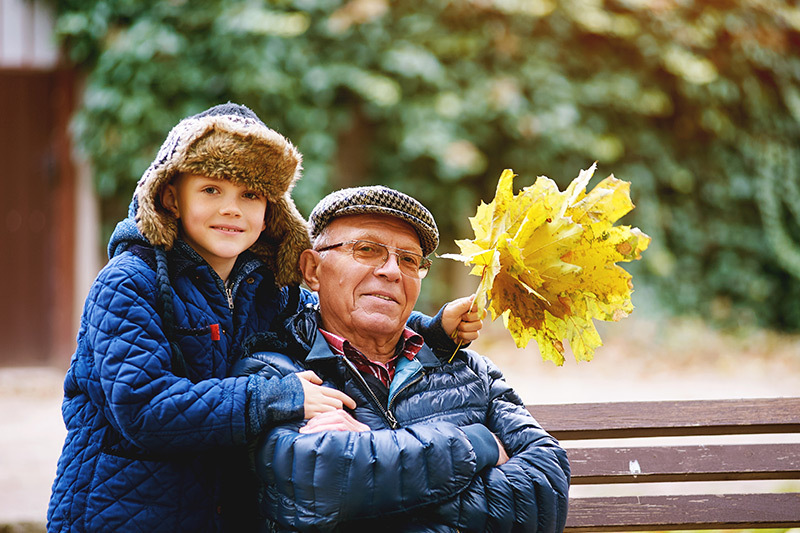 The Healthy Aging Partnership, a coalition of 40 not-for-profit organizations in the Puget Sound area of Washington state, says that interactions among young people and older adults are crucial to reducing depression, relieving boredom and improving health—for both generations. The Intergenerational Learning Center at Providence Mount St. Vincent in West Seattle, for example, offers daycare for children 6 weeks to 5 years old. Four program areas offer children the opportunity to visit with nursing home residents, and the Intergenerational Family Room provides a shared space for residents and children to participate in special activities and form relationships. In Washington, D.C., the DC Office on Aging and the DC Public Schools Office of Early Childhood Education have a joint partnership designed to bring together senior citizens and early childhood students. If you’re interested in connecting with children in your area, there are many different ways to do it. You can become involved with an organization like Big Brothers Big Sisters of America; contact your local school district, grandparent networks, or nursing homes to determine which programs exist in your area; or even take the Gen2Gen Summer Challenge to help nurture a young person. Experience matters. Grandfriends can make a difference—and you can become one today. “'Grandfriend' pen-pal program joins Colman-Egan 6th graders with area seniors,” KSFY staff, KSFY.com, May 5, 2017. The internet offers great bargains and fast delivery. Know what to watch for so you can shop safely and securely. Grabbing great deals on the internet is almost as fun as finding a bargain in person at a local store. Plus, the convenience of online shopping can’t be beat: Shop, order and pay from the comfort of your home, sit back and wait for delivery. What’s not to like? Fake ads on classified-ad websites such as Craigslist.com. Always insist on meeting in person to inspect the item before you pay in cash. Surveys that promise a payoff of any kind (a free product, for example) once completed. Retailers that do not allow payment through secure services such as credit card transactions or PayPal. If one insists on a wire payment, your bank account information, a prepaid money card or a money order, don’t finalize the purchase. Websites that don’t offer information about privacy, terms and conditions of use, dispute resolution, refund policies, or contact details. Sites with poor-quality images or that have another company’s logo or watermark. Statistics show that more people than ever are shopping online. The share of U.S. consumers who shopped online on Cyber Monday (the Monday after Thanksgiving) in 2016 increased to 73 percent, while a solid 40 percent of consumers now shop several times per month online. At the same time, a Forbes Magazine survey of 125 retailers showed online fraud attempts were expected to rise more than 40 percent. Bob Schulties is a content manager for Lifewire.com, a technology advice site. He loves to shop online just like anyone else. He’s learned a few secrets, however, that he wants Senior Spirit readers to know. Schulties says online shopping scams are always changing, but the basics remain the same. Use a site you or a friend are familiar with and have used before with success. Ensure you are truly on that site by checking the URL at the top of your web browser. It should not be missing letters (www.amazn.com) or have extra letters or numbers tacked onto it (www.123_amazn.com). Never follow a link to a site. If you receive an email from Kohl’s, for instance, don’t just click the link to get to the deal. 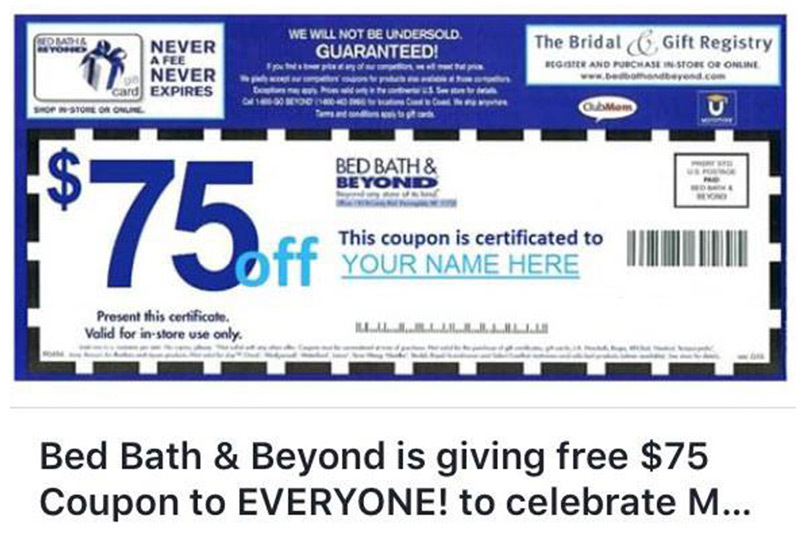 Go to the retailer using the URL you already know. The deal will still be available. 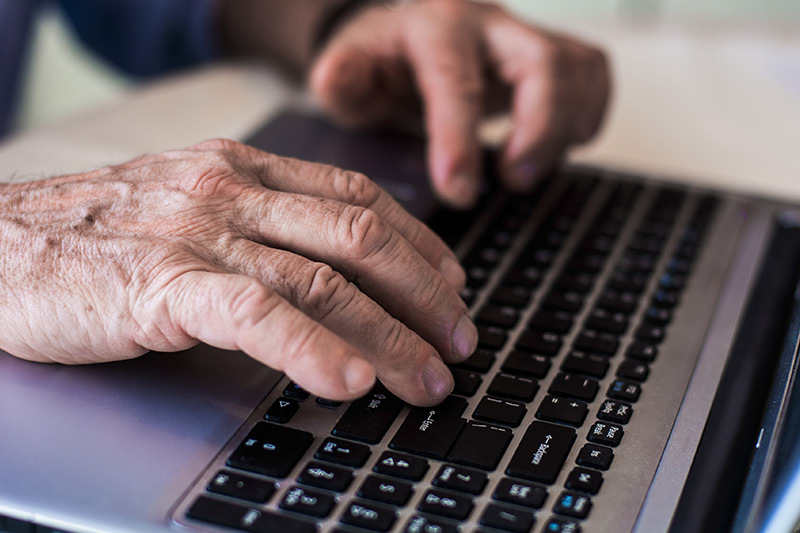 If you follow a link in an email, you could be setting yourself up to provide credit card information, passwords and your personal information to a fake site. Use a credit card for purchases. You can use a debit card, of course, but that instantly withdraws cash from your account. Credit cards have a stronger layer of protection that keeps your cash in hand as you work out any problems with a retailer, whether it’s fraud or not. Never give a site your Social Security number. If a site wants that information, just leave it. There is never a reason, say experts, for a site to require your Social Security number to make a purchase. Always change your passwords. Even if you change it up slightly, use a different password for every site you shop. It’s a pain, but it’s a far bigger pain to have your information stolen from one legitimate site and then used on multiple sites to make purchases before you even know anything is happening. Schulties recommends password manager program 1Password to keep your passwords organized. This program is simple to use, remembers all passwords for you and keeps each site’s password secure. “Statistics and Facts about Online Shopping Behavior in the United States,” Feb. 2017, Statista. “Shopping Online,” Sept. 2011, Federal Trade Commission, Consumer Information, Shopping Online. “Top 10 Scams - 2017,” Feb. 14, 2017, Better Business Bureau. “Online Safety,” May 10, 2017, USA.gov, Online Safety. “Why Online Shopping Fraud is Expected to Jump 43% This Holiday Season And How To Protect Yourself,” Laura Shin, Nov. 23, 2016, Forbes Magazine. 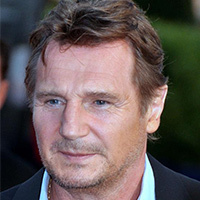 Irish actor Liam John Neeson, who began acting on stage at the tender age of 11, made his professional acting debut with the Belfast Lyric Players’ Theater in the play The Risen People. That led to a variety of roles in with Dublin’s Abbey Theater and, eventually, to Hollywood. In the early 1980s, he and actress Helen Mirren lived together. She convinced him to find an agent, which helped him garner meatier roles in the States. A nomination for Best Actor from the Academy of Science Fiction, Fantasy & Horror Films in 1991 for Darkman, along with a 1992 win for Best Actor in the movie Under Suspicion from Cognac Festival du Film Policier cemented his reputation as a leading man. He was selected to play Oskar Schindler in Schindler’s List (1993), a role that finally catapulted him to A-List stardom with his first nominations in best actor categories with the Motion Picture Academy of Arts and Sciences (the Oscars), the Golden Globe Awards and the British Academy of Film and Television Arts (BAFTA). Although he never has won any of those awards, he has won 19 other awards and been nominated for a total of 38 acting awards. 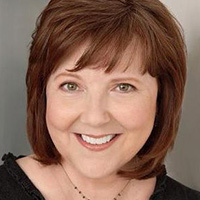 Voice actress Miriam Flynn, born in Cleveland, Ohio, is also a beloved character actress. Perhaps best-known for her roles in two well-loved franchises (National Lampoon’s Vacation flicks, in which she played Cousin Catherine, and The Land Before Time movies, in which she stars as Grandma Longneck), Flynn was initially a member of The Second City improv troupe alongside James Belushi, Shelley Long, and George Wendt. She was a cast member in and writer for The Tim Conway Show, which aired for a single season in the early 1980s. In 1995, she voiced the character of Maa, an aging ewe, in the surprise smash movie Babe, the story of a pig who learns to herd sheep. Flynn has also guested on numerous television series (Cheers, L.A. Law, Scandal, and The Middle, to name just a few.) Overall, she has 143 film, writing and television credits to her name. Married and the mother of two children, Flynn lives a private, quiet life in Pacific Palisades, California. 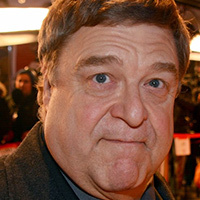 St. Louis native John Goodman started out adult life as a professional bouncer and earned a bachelor’s degree in Fine Arts from Southwest Missouri State University in 1975. He studied there with actors Kathleen Turner and Tess Harper. He started down the fast lane to stardom in New York City with an appearance in a Burger King commercial (he spoke no lines.) During his struggling-actor days in NYC, he befriended Bruce Willis, Dennis Quaid, and Kevin Kline while working off-Broadway. He also worked as a waiter and bartender to pay the bills on his apartment in Hell’s Kitchen. Some says Goodman is best known for his role as Dan Conner on the television series Roseanne, which aired from 1988 until 1997 and earned him a Best Actor Golden Globe award. But for the past 20 years, Goodman has built a movie career that few can rival. His appearances in Coen brothers movies, such as Raising Arizona, Barton Fink, The Big Lebowski, and O Brother, Where Are Thou? have earned him a cult following of sorts, plus led to work in more than 50 other films. He is known for voicing roles in more animated films than any other actor in history. Saturday Night Live fans know him from 14 gigs hosting the show (one more than the show record previously held by comedian Steve Martin). Dart gaming fans recognize Goodman for his unique style of throwing darts: He holds the pointed tip with his thumb and index finger, then throws the dart with the opposite end pointing to the board so that the dart turns 180-degrees in mid-air. Watch movies like King Ralph to catch him displaying this distinctive style.